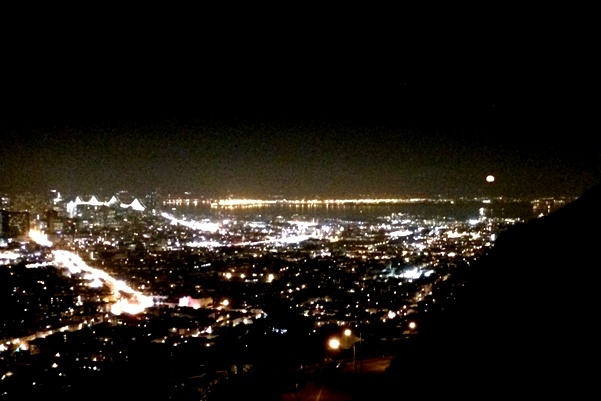 Driving back from an errand over Twin Peaks last evening, I saw someone pull his car over, stop, and get out. He was looking fixedly toward the East. I wondered what he’d seen. 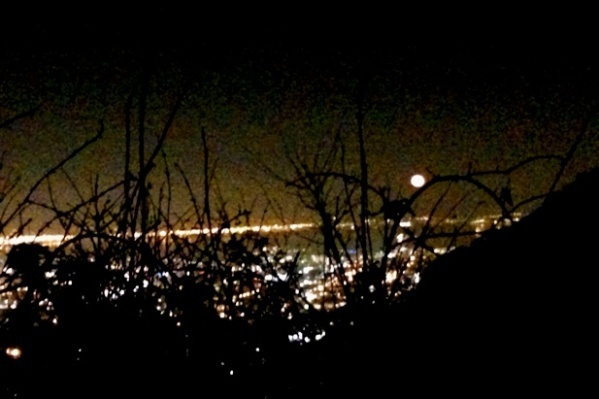 It was the moon, rising redly from a low-lying belt of haze. I pulled over, too, in a wide space on the road, and tried to get some photographs with my cellphone. It didn’t work. None of them captured the red color of the rising moon. I tried to adjust the color in the picture below, but that didn’t work either: it made the whole picture reddish. 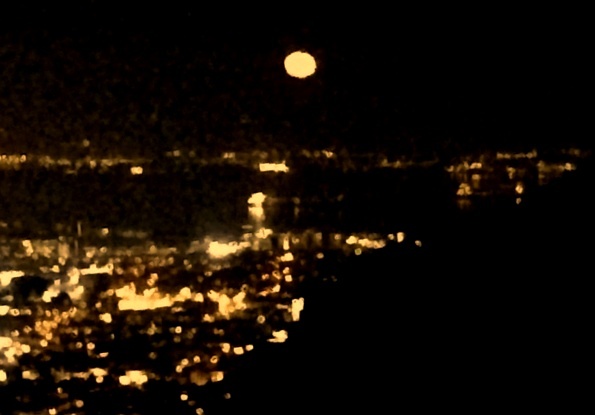 Still, it has a painterly look I rather like, even if it doesn’t look like the moonrise I saw. All I can do is to say, like Shakespeare, “This blogger, with cellphone, car, and bush of thorn/ Presenteth Moonshine” and hope you can imagine it.